The Complete Beginner’s Guide to OKEx Review 2019 - Is it Safe? In the wide world of digital cryptocurrency exchanges, OKEx offers a comparatively wide range of trading pairs and the ability to trade directly to and from fiat currency. OKE is also taking steps to develop the cryptocurrency derivatives market by offering futures. Access to the exchange is limited, however, by its stringent user guidelines. OKEx is the offspring of exchange OKCoin, the brainchild of investor Star Xu. OKEx is to OKCoin as Coinbase is to GDAX – both exchange sets cater to different groups of investors. Both OKEx and GDAX are geared toward more professional cryptocurrency traders. Originally founded in 2014 in China, OKEx is the second-largest cryptocurrency exchange in the world by volume. Its Bitcoin future arm alone does nearly $1.5 billion in volume every day. Like competitor Binance, OKEx has recently relocated to the crypto-friendly island nation of Malta. Which Countries can Trade on OKEx? 1 Which Countries can Trade on OKEx? 10 What Is OKEx Global Partners? 11 What’s OK Blockchain Capital? OKEX has a comparatively high standard among cryptocurrency exchanges for exactly who can participate. OKEX is not currently available for citizens of Hong Kong, Cuba, North Korea, Iran, Crimea, Sudan, Malaysia, Syria, the USA and its territories, Bangladesh, Ecuador, Bolivia, and Kyrgyzstan. These countries are either on the United Nations Security Council Sanctions List or its citizens are restricted or prohibited from trading platforms in some way. In the case of the United States, cryptocurrencies still very much occupy a legal gray area. The issue hinges on whether cryptocurrencies can be classified as securities, and it has largely been decided on a case-by-case basis. Exchanges that offer multiple coins – that is, all of them – are thus in danger of running afoul of the U.S. Securities and Exchange Commission if they don’t take steps to prevent U.S. citizens from operating on their exchanges. This echoes the decision by some token developers to exclude U.S. citizens from initial coin offerings, for fear that their token might later be deemed a security and thus an illegal securities sale was held. The regulatory waters are murky on this point and are likely to remain so for some time. OKEx’s decision to outright exclude the U.S. and countries with questionable legal status before the United Nations is more conservative than the decisions made by other, comparable exchanges. This isn’t necessarily a bad thing, as we’ll discuss in our conclusion. Assuming you are in an OKEx-approved country, the first step in trading on the platform is account creation. The initial sign-in screen is straightforward. OKEx reminds you once again about its list of prohibited countries and then prompts you for either an email address or a telephone number for your username. A login password is also created at this time and you must check your email for a code to enter into the signup form within 60 seconds to continue. OKEx offers several different verification levels, each with its own set of requirements and privileges. A level one verification grants access to most portions of the OKEx site with a transaction limit of $2,000, and it requires only a nationality, username, and ID number. A level two verification comes with access to all trading functions and a limit of $200,000. This is at the cost of a photo of yourself and your identification materials. A level three verification ups your transaction limit to $500,000 and requires a video verification of your identity. Should you hit a snag in the account creation process, OKEx has a fairly comprehensive FAQ database and available live customer support. One minor bone of contention – the FAQ and support sites take you away from https://www.okex.com to https://support.okex.com. Clicking on the bold colored OKEx logo in the upper left corner takes you to the support homepage rather than the homepage of the main site. To get back to the main site, you need to click on the small, pale gray OKEx link in the upper-right-hand corner. OKEx doesn’t allow you to visit its virtual trading floor without creating an account, but you can get a good idea of the sheer number of trades offered by accessing its “Charts” option along the top header. The charts are organized by trading pairs, including USDT, BTC, ETH, and the exchange’s native coin, OKB. OKEx also displays its available futures and a handy index for selected coins. In its FAQ section, OKEx offers a short introduction to its main trading categories. It’s worthwhile to take a look at each one to get a feel for the diversity of trading experiences that OKEx offers. OKEx offers a relatively uncommon C2C trading system, which operates much like an over-the-counter swap. Trades can be conducted between individual OKEx users, setting their own prices in a safe and moderated portal. Withdrawals are also offered in the C2C marketplace, which can be found under the main header’s “Fiat to Token” listing. If you open the Fiat to Token screen, you will see a list of supported currencies on the left, a price chart and the option to Buy or Sell at set prices on the right. At the top of the prices, you will see the option to choose between Verified Traders or Individual Traders. The main event of any exchange is the token-to-token marketplace. OKEx lists a variety of tokens, comparable in number to most other major exchanges, in three trade pairings – BTC, ETH, BCH, and USDT. This portal also features a “Favorites” section for keeping track of particularly interesting tokens. The layout is again simple but intuitive. A tabbed box displays the option to either buy or sell, with the relevant pricing and volume information underneath. A chart to the right of the main trading screen displays recent bids and asks. If you access the trading screen from the “Charts” listing, you have the option for “Full Screen” view which offers a larger and more advanced layout. OKEx asks all prospective futures traders to read and agree to its proprietary user agreement. This is due to the relative complexity and high risk of the cryptocurrency derivatives market. Utilizing leverage can mean big gains and big losses in a short space of time, and OKEx goes out of its way to make sure its users understand that they are entering a whole new world from the standard token-to-token trading floor. OKEx supports eight coins for futures trading – BTC, LTC, ETH, ETC, BCH, XRP, EOS, and BTG. OKEx’s service fees are remarkably streamlined for such a diverse exchange offering. The company charges a 0.1 percent maker and taker fee for all token-to-token trades. Fiat trades were granted an exemption from fees until February 2018, but no new fee structure has been posted as of May. The fees for futures trading are decided token by token. BTC is assessed a maker, taker, and settlement fee of 0.015 percent. LTC futures trades have a 0.025 percent maker fee, a 0.075 percent taker fee, and a 0.05 percent settlement fee. ETH, ETC, and BCH all carry a 0.025 percent maker fee, a 0.075 percent taker fee, and a 0.05 percent settlement fee. OKEx also has a tiered volume-based fee discount structure. The discounts are computed daily from a 30-day trading volume and also come with associated withdrawal levels. 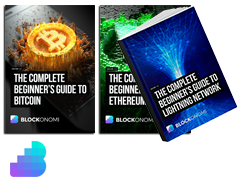 The levels range from less than 600 BTC equivalent with maker fees of 0.15 percent and taker fees of 0.2 percent to greater than 120,000 BTC equivalent with maker fees of 0.02 percent and taker fees of 0.05 percent. There is a similar tiered discount structure for futures traders that is computed separately from spot market transactions. Those levels range from less than 10,000 BTC equivalent to greater than 300,000 BTC equivalent. There isn’t much information on OKEx’s site regarding its internal security mechanisms. Two-factor authorization can be set up during account creation, and OKEx gives detailed instructions for changing administrator passwords, but the details of OKEx’s security scheme are well hidden. This is surprising, given the exchange’s near-constant popups detailing which countries are currently banned from the exchange. In October 2017, hackers were able to access some OKEx accounts. OKEx’s statement on the matter chalks the breaches up to individuals falling victim to phishing attempts, not a failure of the OKEx’s security system itself. To prevent future breaches, OKEx recommends the use of two-factor authorization and provides a short tutorial. 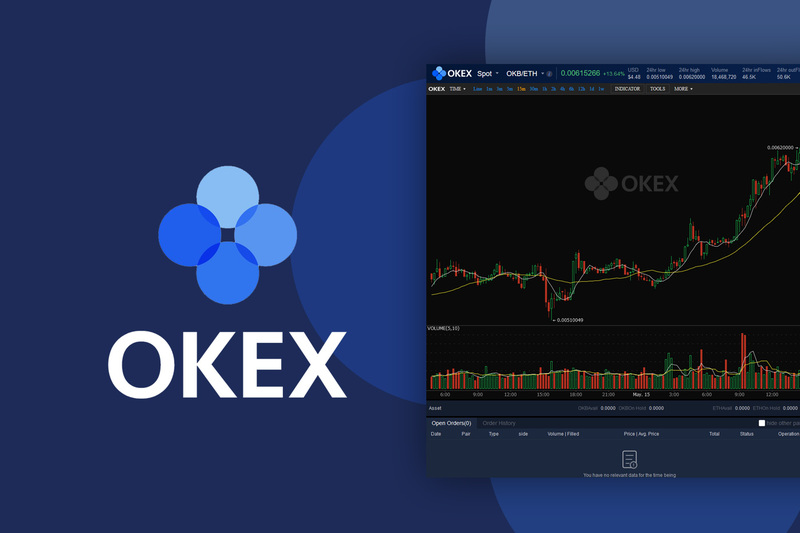 OKEx’s native token is OKB, and it serves to incentivize trading on the OKB platform while the company develops its blockchain. The token carries a total supply of 1 billion – 70 percent of which is locked up – and the company distributes 50 percent of its service fees collected during the week each Friday to OKB holders. The actual amount distributed is weighted by the volume of OKB a user holds. OKB entitles OKEx traders to certain privileges, like service fee rebates. In this way, it operates much like the BNB coin used by Binance. The overall goal of the OKB token project is a worldwide network of cryptocurrency trading assets. “OKB will act as a base token to allow global blockchain teams to participate in the construction of a global exchange,” the company stated. What Is OKEx Global Partners? OKEx Global Partners is a market initiative by the exchange. The system is structured around OKB holdings and referrals, with awards distributed in the form of special prizes and OKB rewards. Consideration for the OKEx Global Partners program is fairly wide open. It just involves owning at least 5,000 OKB and referring 50 people to the site monthly. The reward for this entry-level tier is 30 percent of the associated trading fees collected from your referrals for the next six months. OK Blockchain Capital is the investment arm of the OKEx platform. The business division solicits partners for new blockchain projects and provides auxiliary services, like consultation, technology, resources, and capital. This is the avenue for white paper submission and possibly token registration within the OKEx platform. OK Blockchain Capital claims to have at least $100 million set aside for new blockchain technology products and services. The OKEx platform sports a wide range of tools and trading venues for every level of investment need. Newcomers to the cryptocurrency sphere and professional traders alike will find something useful on OKEx. Their interface is quite well designed and provides lots of different trading options and views which seasoned traders will appreciate, it might be a little overwhelming for complete beginners who might do well to start at an exchange like Binance which doesn’t offer quite as many options for trading and has a simplified trading screen. It’s a shame that such a large portion of investors are currently unable to partake due to OKEx’s rules regarding nationality and account creation. It’s understandable, however. OKEx started life in China, which has a notoriously love-hate relationship with cryptocurrency and other decentralized assets, and in the Wild West atmosphere of trading cryptocurrencies, it pays to be on the conservative side. OKEx’s relatively strict stance might be more forward-thinking than most. Cryptocurrency regulations are in their infancy worldwide, and it is not entirely clear which direction they will swing in established markets, like the U.S., or developing economies. Playing it safe might be the best right now, or at least until some of the regulatory dust settles. Furthermore, OKEx is big – the second-largest cryptocurrency exchange in the world, by its reckoning. It can’t afford to take many risks, but it has the ability to influence future policy by the risks it does decide to take. Overall, the OKEx exchange brings a lot to the table but provides relatively few seats. That might be its saving grace in the long term.